Television professionals get regular report cards on their performance through The Nielsen Company, which tracks audiences for client stations. Understanding their reports is critical in knowing how to build a TV audience and to attract advertisers to your station or network. Families are asked to track their viewing habits for a certain period of time. A small collection of these families makes up a sample size that Nielsen uses to estimate the size of a national audience or an audience in a specific region. If you work at a television station, ask a manager to see a rating book. Because this information is expensive and so important to the success of the business, it is usually closely guarded. If you cannot get a current rating book, an outdated report will work just as well. In most areas of the country, detailed ratings are released about 30 days after the following months —February, May, July, and November. In other areas and at the networks, the ratings are tracked continually and issued as "overnight" reports. That's an estimate of the percentage of the audience watching a particular program. If "Channel 6 News at 6:00" has a household audience rating of 15, that means Nielsen has estimated that 15% of the market's household audience is watching it. On the flip side, 85% of the audience may be watching another station, cooking supper or at the movies. A household audience measures homes, not people. So technically, "Channel 6 News at 6:00" is on in 15% of homes —one person might be watching in one home, four in another. The household measurement doesn't take into account that difference. The share is an estimate of the percentage of how many households using television are watching the program. If "Channel 6 News at 6:00" has a market share of 30, that means 30% of the homes watching TV at 6 o'clock are watching that newscast. This number eliminates those cooking supper, at the movies or doing anything else. As a result, the share will always be higher than the rating. That's because the pie has been made smaller by taking away homes not watching TV. It is where you will start seeing numbers of people rather than homes. A Nielsen report is divided into a long list of age groups. While it may be tiresome to compare the numbers between women ages 18-34 versus men ages 25-54, these are the numbers that matter most to advertisers. Because the audience pie is now sliced by gender and age group, the numbers will get increasingly smaller. In fact, "Channel 6 News at 6:00" might get "--" (commonly called hash marks) in some categories, like children. That represents either zero or a number that is too small to be important. Media managers use rating reports to decide whether their program has audience problems. A Nielsen report shows these trends. But because audience measurement is never an exact science, there may be noticeable blips along the way. For instance, "Channel 6 News at 6:00" may do poorly versus its competition in the May rating periods every year. The numbers may recover in each November report. The reason may be because the newscast attracts young families. Those people are out enjoying the nice weather in May and miss the news. They return each November when it's cold. 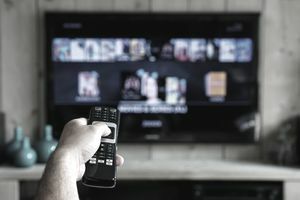 Nielsen has spent decades developing its audience measurement system, but there are several factors to consider when reading the numbers. Nielsen depends on people to accurately record their viewing habits. In some parts of the country, that includes filling out paper diaries that have to be mailed. People can make mistakes and write down the wrong channel or forget to fill out the diary completely. Sample sizes are small. Nielsen can't monitor every home in a city, much less the entire country, so it chooses a small number of people to represent the nation. A thick Nielsen report is full of all sorts of numbers, but it is still just a snapshot of a moment in time. It takes looking at a series of reports to measure viewing habits accurately. But even one rating book has a section that tracks the numbers over a year's time. That's a quick way to spot patterns. Most stations have moved beyond caring who's number one. That's because a top news station may be ranked third in afternoons or mornings. It's rare to find a station that's top-ranked throughout the day. Also, advertisers care more about demographics. If they want to reach young adults, they don't care that your news is number one with people 55 and older. The ratings can be interpreted in infinite ways. A station may say its ratings have doubled for its wake-up news. That can mean the program has gone from a 1 rating to a 2. Claims of being the area's "fastest growing news station" can be true, but still misleading. Keep that in mind when ratings are used as part of an advertisement. Each station (or network) can find something to brag about if they look hard enough.